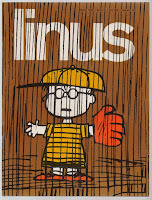 The cards were an add-on in the issue 3 (12) anno II 1966 of the Italian comics magazine linus . It was the first Italian comics magazine which featured stories for adults. 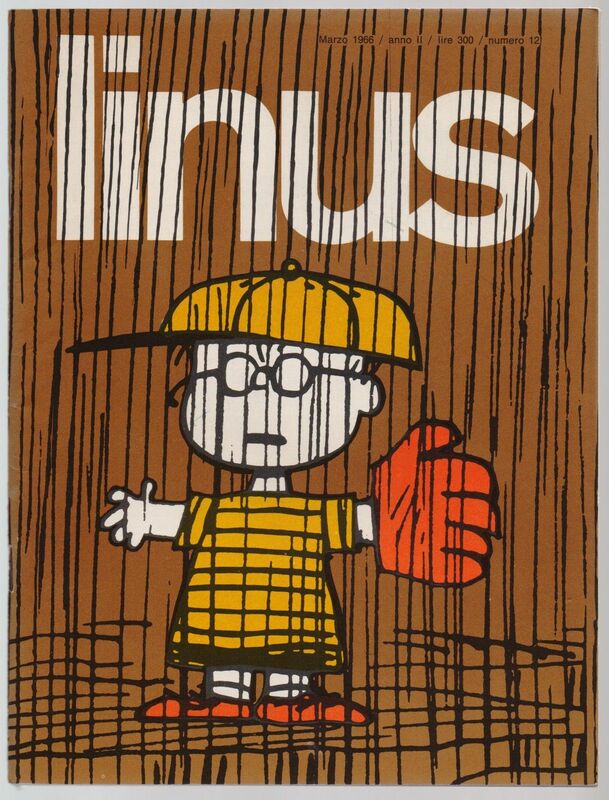 linus had a leftist cultural stance and it's editorial supported the Italian Communist Party. From the magazine's beginning, the comics section was accompanied by an extensive section dealing with society, politics, mass media, literature and other cultural themes. Among others Umberto Eco and Enzo Baldoni, the Italian journalist and writer killed in Iraq in 2004, worked for linus. The cards came as an uncut fold-out sheet in the comics magazine. It's 24 cards, 20 of them majors and 4 aces for the 4 suits named coppe, spade, bastoni, denari. 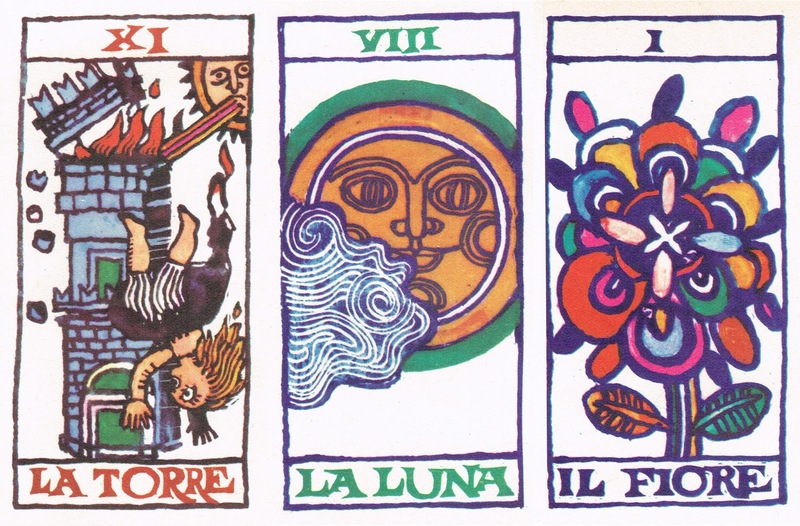 On most of the majors the traditional Tarot Marseilles imagery is recognizable and they have the traditional names. 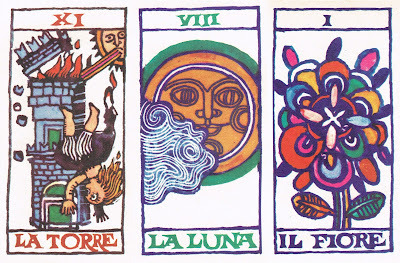 There are no cards for Magician, Justice and Chariot, but there is an aditional card "Il Fiore" (the flower) . The cards are non-traditional renumbered. Instead of an lwb there is a page with interpretations for the cards in the magazine. I don't know if a complete tarot deck of these exists or if they are to find only in this comics magazine.